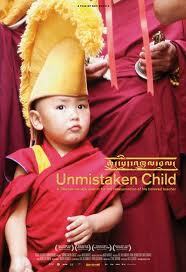 This is one of my favorite buddhist documentaries of all time. It involves Tenzin Zopa (now Geshe Zopa, the spiritual center director of Lozang Dragpa Center, Malaysia), the attendent and pupil of Lama Konchog. Lama Konchog was a well known teacher and yogi who used to meditate in caves for years, engaging in very strict ascetic practices like not eating any food and drinking only water, and not sleeping so he could meditate day and night to attain enlightenment. He was a modern yogi who attained supreme siddhis. After he passed away, Tenzin Zopa was given the responsibility to find the reincarnation of his master, Lama Konchog. This documentary shows his quest to find the unmistaken reincarnation of Lama Konchog within small farming villages of Nepal. Its a rare opportunity to see how the reincarnation process, selection and ethronement is carried out within the Tibetan Buddhist tradition, and the story of one student’s dedication to his enlightened master. His Holiness the Dalai Lama and Kyabje Lama Zopa Rinpoche make apperances in the film, assisting in the recognition process of Phuntsok Rinpoche, the unmistaken reincarnation of Lama Konchog.